But all mere mortals suffer the motion within the bones of the face, which underlies facial aging. 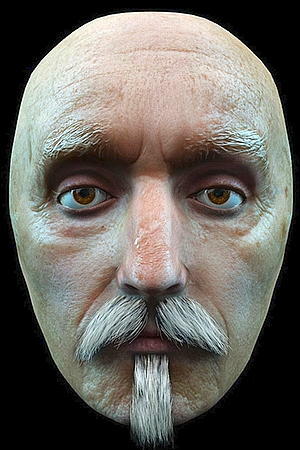 A digital recreation of Shakespeare’s face stares at the reader. But Shakespeare did not know the underlying shifting bony dimensions that lay as the cause for facial features to be read like a book. The face mask appears as all of skin, muscle and fat. Those Hollywood starlets seeking facial rejuvenation at one point are told by their plastic surgeon, ‘I can’t pull things any tighter, you won’t have any face mobility, you’ll only have a mask of expressionless features.’ Behind this assessment are recent studies suggesting that the bony aging of the face is primarily a process of contraction plus morphologic change within the very bony density of the facial bones. Think of the face as if designed by an artist who has cleverly draped over a scaffolding this elastic soft tissue envelope. The scaffolding strength is determined by measuring the bone density within the facial bones using dual-energy X-ray absorptiometry (DXA) scans. The earliest suggestion of an association between osteoporosis with facial bone loss was made in 1060 by Groen, Duyvensz and Halsted. I will be quoting from The Aesthetic Surgery Journal on Facial Bone Density: Effects of Aging and Impact on Facial Rejuvenation authored by Robert Shaw, Evan Katzel, Peter Koltz, David Khan, Edward Puzas and Howard Langstein: 2012, 32:937-942. 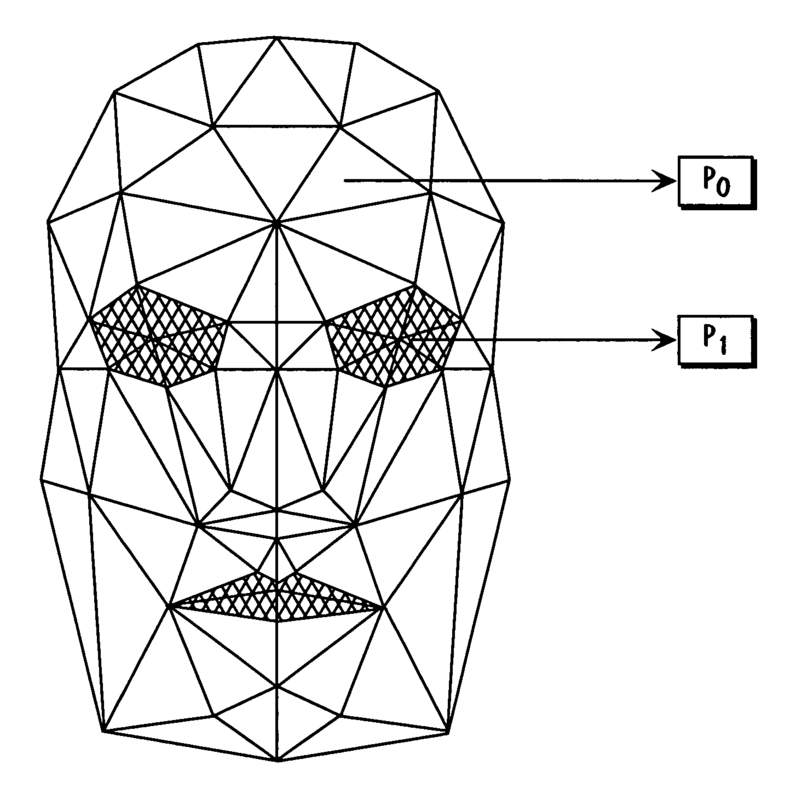 A fractal mask can be superimposed over the face mask creating the mapping points to build the surface features that make up the envelope of skin. We do not think of the shape of the bone as determining the shape of the face but that is the dynamic motion as if the tissue is a stretched mobile fabric membrane of flesh across the bone scaffolding beneath the surface. 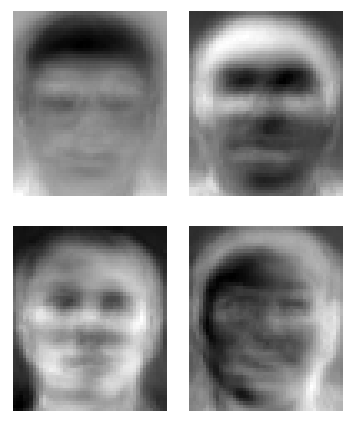 Facial recognition algorithms can now employ a rapid scanning capacity toward the creation of a individual facial biomarker unique as a fingerprint. 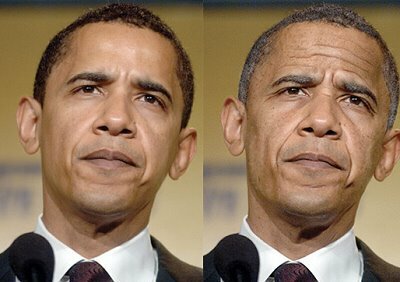 But the use of the face shape itself as its own biomarker of aging is only just beginning to be considered. 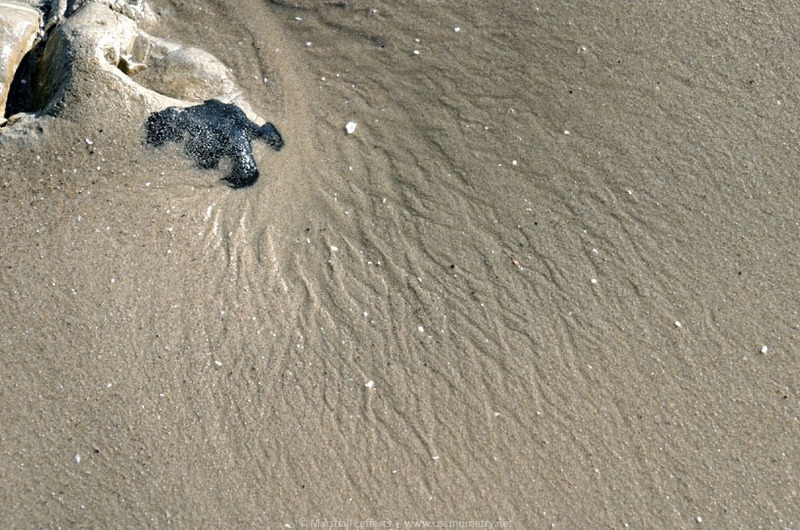 As Nature carves fractal patterns into the sand the image is essentially amorphous in terms of a lack of connection to the layers beneath the surface features. 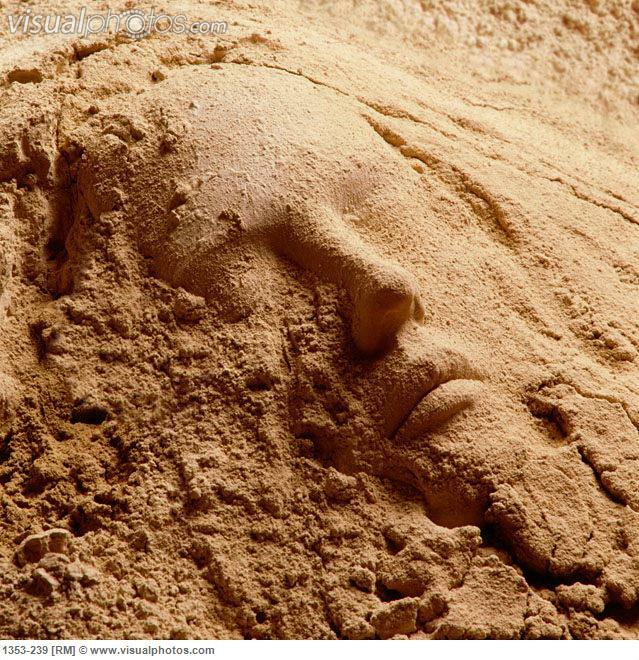 Yet faces can be carved into the sand loam. 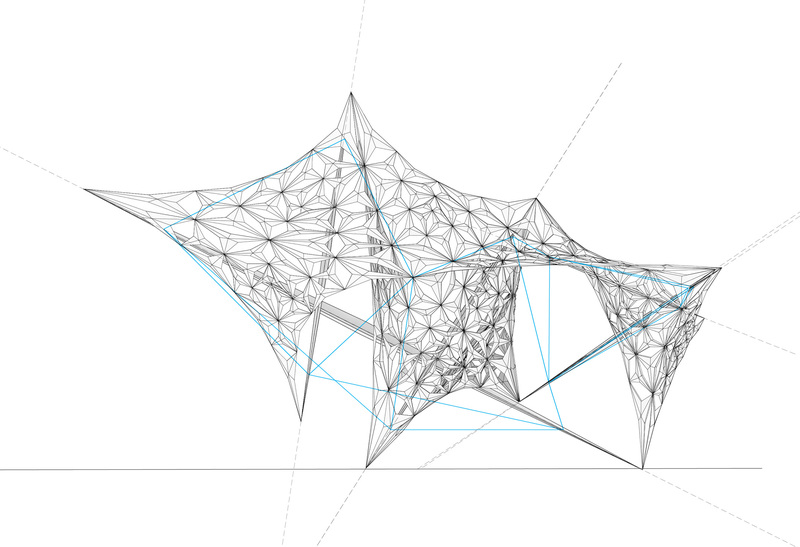 But their unattached dimensional platform- the structure of an unseen scaffolding separates in any strong wind gusting dissolving into antishape. Nature always designs using the integrity of both shape holding tension within its stretched connectedness both locally into distance connections. It is all about attachment in a flexible stretched membrane that is a Snelson floating tension/compression sequence. 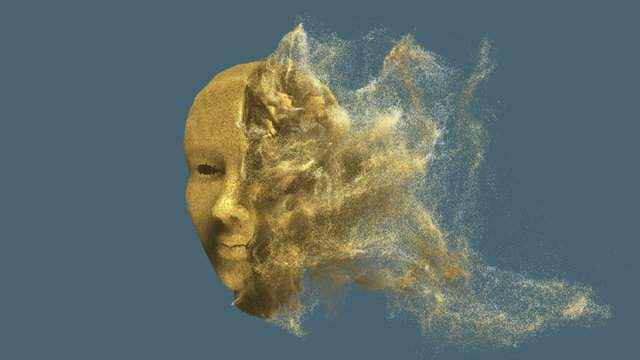 So when we speak of the human face we are not used to seeing the elements of features which Shakespeare said are carved into the mobile motions of emotions that play across the face surface. The face is much more than that stretched skin that we pay so much attention to. 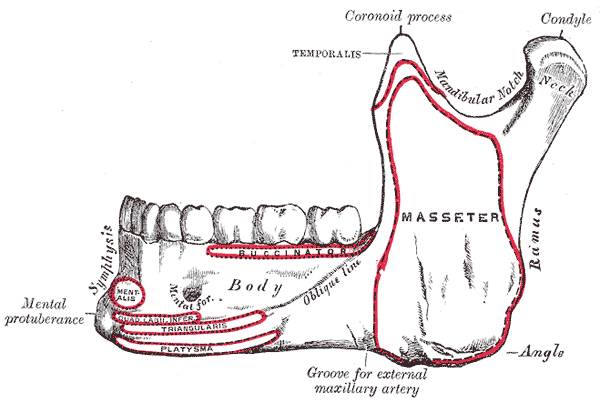 The face is attached within itself tethered beneath to the bony structures. As the facial bones age they change contours, they deform hence the aging face reflects this as a shadow reflects a building’s shape. It is the unfolding shapes skirting over time that determine how the face ages. 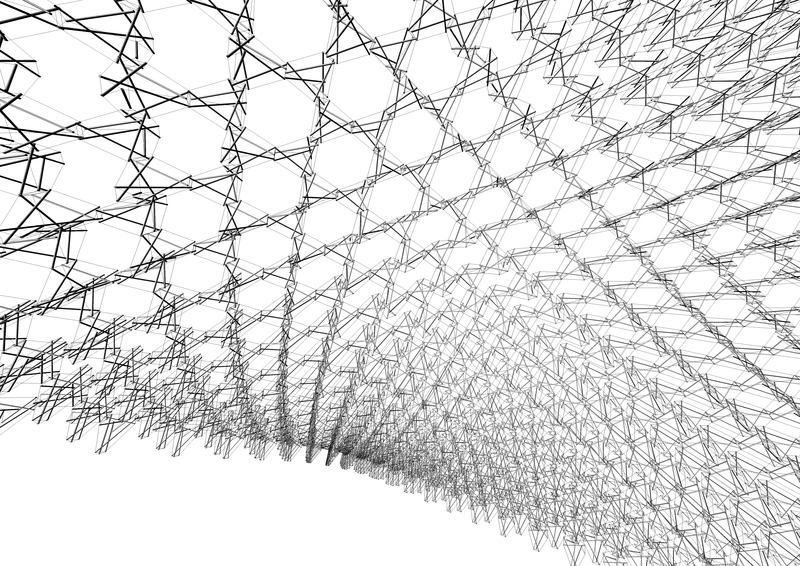 Which can now be mathematically modelled as a tension net respecting local neighbourhood geometry of positions relative to each other so that the statistical coherence of this intactness can now be blended into mathematical compressed forms that are just barely recognizable as edges of coherence that determine our recognition of a frowning face shape or a smiling face shape or any of the immense subtleties in between a la Shakespeare’s poetic descriptions. The combined skin envelope with the connected integrated structure beneath are dynamically linked in time as the bone changes shape with aging. 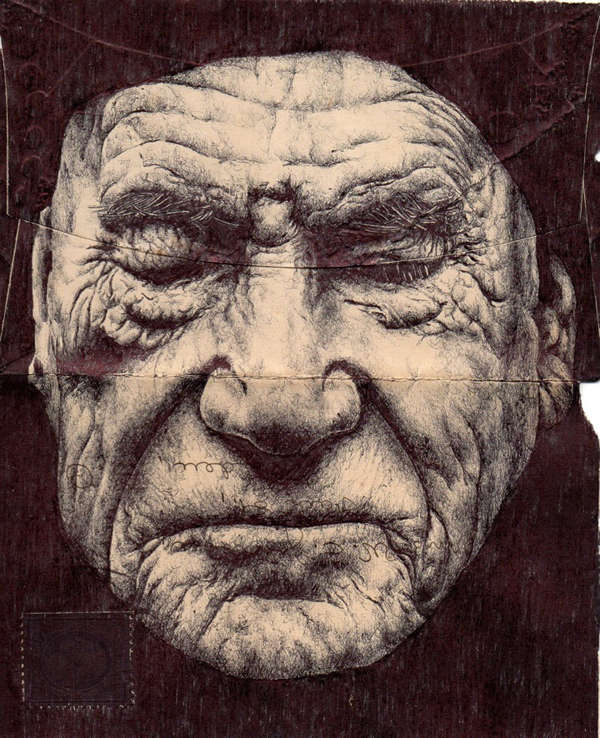 The skin reflects this shifting tension displacement across the surface, into what we call the wrinkled face. The skin is the stretched Snelson floating tension envelope across the surface that we watch so intently for expressions of conversation of understanding of compassion of hatred. In the diagram above the zones of shape change happening as we age are highlighted at the blue arrows. As you study a face think at the same time of a stretched envelope over the surface that at the same time reflects the integrity of the supporting scaffolding beneath the surface that changes shape in measured time as the face bones evolve in their shape distorting the Snelson floating tension/compression skin envelope. 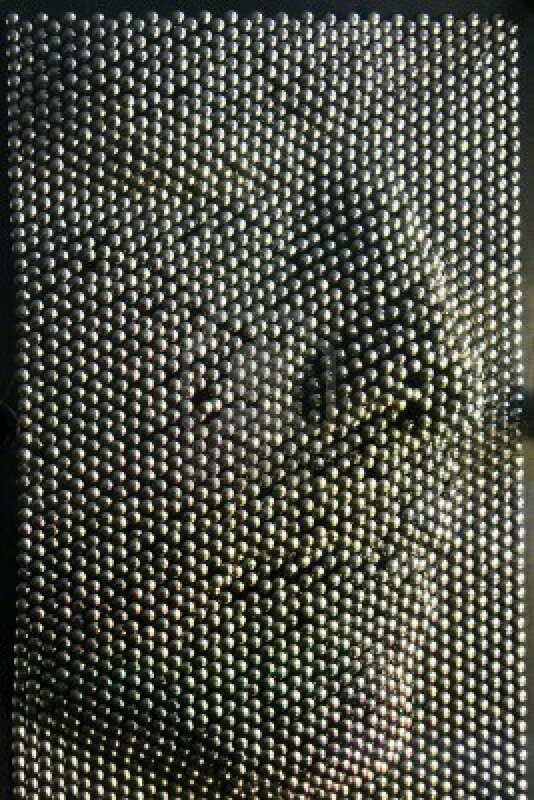 Like a pin art, the tension rises from the displacing Snelson floating/compression from below hidden from sight. As we age our face is the quality, the integrity of our bone density. As we age we lose this inherent strength this ability of bone density to reveal healthy facial features. As we age our face is our compass of health. 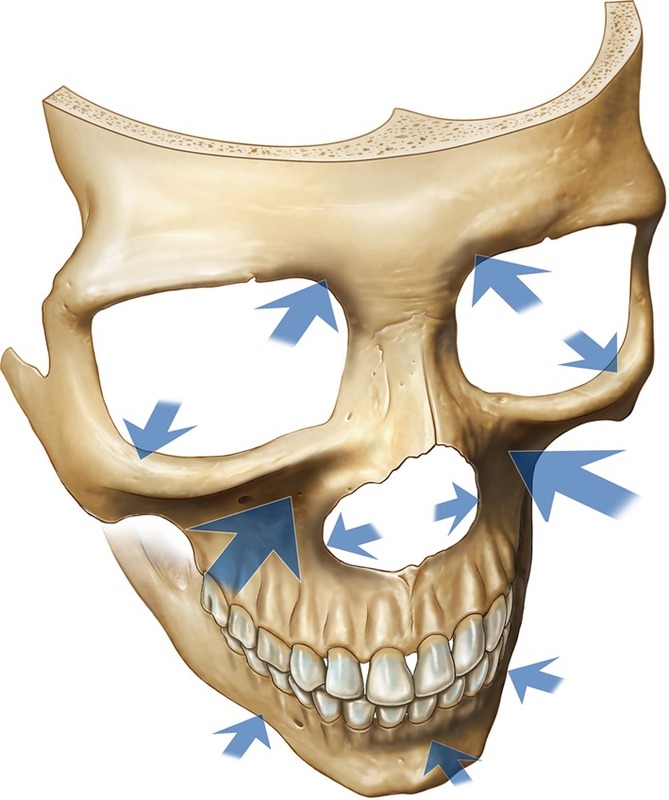 If astronauts prematurely age and concurrently suffer accelerated bone loss at the same time, you will see their changing facial features as aging lines drawn at the stress points onto their stretched Snelson tension/compression face membranes. If concussions are also severely affecting the aging process then those afflicted with multiple concussions will have that change from impacts recorded directly written into their facial structure.